Remember Us is a look back at the lost world of the shtetl: a wise Zayde offering prophetic and profound words to his grandson, the rich experience of Shabbos, and the treasure of a loving family. 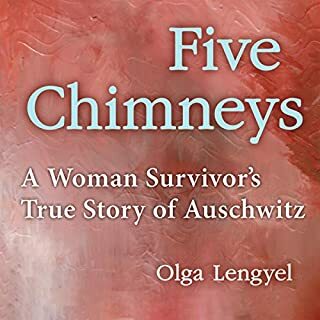 All this is torn apart with the arrival of the Holocaust, beginning a crucible fraught with twists and turns so unpredictable and surprising that they defy any attempt to find reason within them. Through the eyes of 91-year-old Holocaust survivor Martin Small, we learn that these priceless memories that are too painful to remember are also too painful to forget. 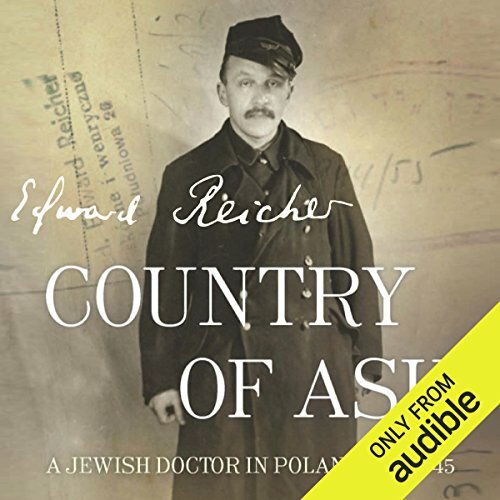 Country of Ash is the starkly compelling, original chronicle of a Jewish doctor who miraculously survived near-certain death, first inside the Lodz and Warsaw ghettoes, where he was forced to treat the Gestapo, then on the Aryan side of Warsaw, where he hid under numerous disguises. He clandestinely recorded the terrible events he witnessed, but his manuscript disappeared during the Warsaw Ghetto Uprising. After the war, reunited with his wife and young daughter, he rewrote his story. 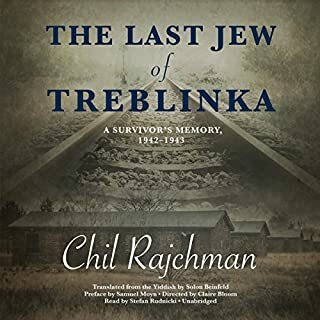 Peopled with historical figures like the controversial Chaim Rumkowski, who fancied himself a king of the Jews, to infamous Nazi commanders and dozens of Jews and non-Jews who played cat and mouse with death throughout the war, Reicher’s memoir is about a community faced with extinction and the chance decisions and strokes of luck that kept a few stunned souls alive. ©2013 Union des Deportes d’Auschwitz (P)2014 Audible, Inc.
Real living history told through the eyes of an eyewitness. World War II from the Polish side, from the Jewish Polish side. Important information for the younger generation to hear. If you could sum up Country of Ash in three words, what would they be? Incredible how many times this doctor dodges death. One of the best stories of that horrible time. What about Suzanne Toren and Robert Blumenfeld ’s performance did you like? 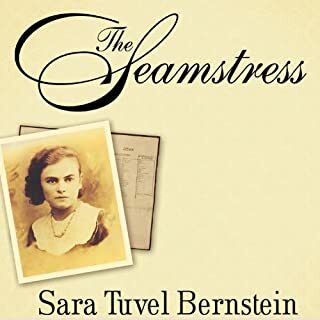 Don't be fooled Suzanne Toren does not narrate this book just the intro. Blumenfelds performance is one of the oddest sometimes funny narrators I've listened to. I almost didn't continue because of it but so glad I did. Yes! I kept thinking he'll never escape this one and was awed when he did. 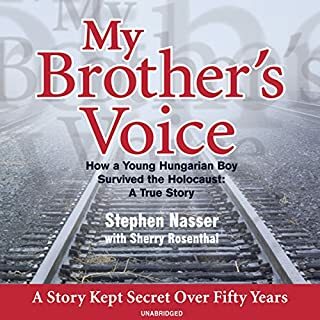 Once you get used to narration anyone should love this book. I've listened to many great books about the Holocaust, but this is very different. Totally enjoyable listen, albeit sad as they all are. Story of hard times told in a manner which leaves you with hope in the end. Good story enjoyed it very much. The story teller spoke in a very fast-pace in which in the beginning annoyed me a bit but I got accustomed to his quick and fast reading of the story. My assumption is that the author also was a quick fast thinking man just by the details of the story. I did quite enjoy a very unenjoyable subject. I would recommend this book. I had family in Poland Jews as well. This is truly a heart wrenching story. Please read it twice as I did. A true story is so heartbreaking when you think of the thousands who died and how did this doctor survive ? To think that he testified in court against those nazis !this is amazing ! 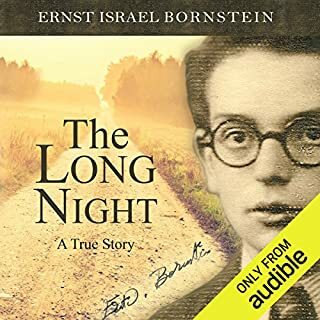 This tragic story gave a a unique view of life in Warsaw during WW2 for Jewish people. Dr. Reicher was a wonderful and fascinating person. The narration could not have been better! This was a fascinating book. I am assuming it was true. Books about the Shoa is very interesting. I have never read one about a Doctor before. Also very few about Poland (Lodz). The protagonist ( the Doctor) is very realistic. Was the narrator in a speed contest? I had to reduce the speed of this book because the narrator was speed-reading. I did enjoy this book. 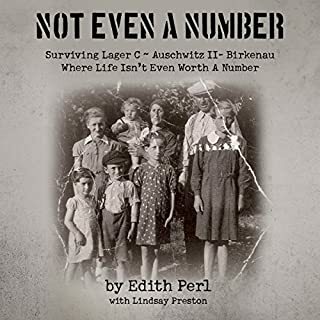 The doctor's perspective is unique, full of pertinent information about the goings-on of the leaders in the Lodz ghetto.